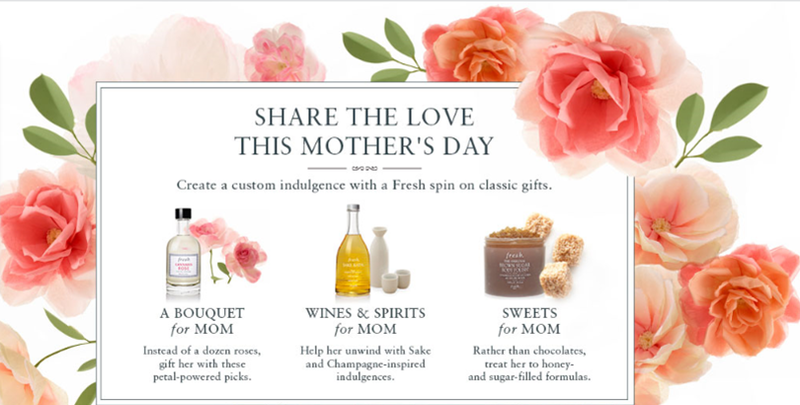 Fresh is hosting a Mother’s Day event on May 7th at Fresh Union Square with Co-Founder Alina Roytberg, where guests can customize their gifts with a Fresh spin on classics like a bouquet of roses, wine & spirits and chocolates & sweets. Create Fresh memories this Mother’s Day, be among the first 20 people to spend $250 and receive two tickets to the Broadway blockbuster Beautiful: The Carol King Musical. Guests will also get a sneak peek at the NEW Sugar Tulip Lip Treatment SPF 15 for spring and enjoy a special Mini Oval Soap Gift set from Fresh. WHO: Co-Founder and creative visionary behind Fresh, Alina Roytberg combines her passion for design with a love for beauty and skincare, using her incredible visual sense to render the outside of Fresh products as appealing as what’s found inside. It is Alina’s sensitivity to color and textural subtleties that make the Fresh aesthetic both familiar and completely modern.